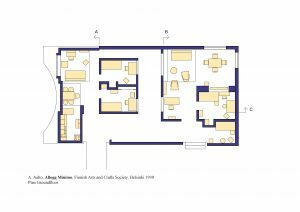 Aino and Alvar Aalto are a couple of architects and designers who not only would design a building, but it’s interior features to create an entire work of art. The furniture, lighting, and glassware put into these buildings have become just as iconic as the structure itself. 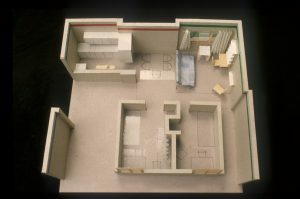 The minimum apartment exhibit was part of the Finnish Arts and Crafts Society annual exhibition in Helsinki. The minimum design is “the minimum number of elements necessary to sustain a full and satisfying style of life”. 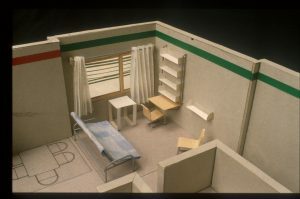 The exhibit was thus made up of a series of sample rooms or booths installed with furniture, carpets, utensils, lamps, artwork, and appliances in a set of simulated apartment arrangements. 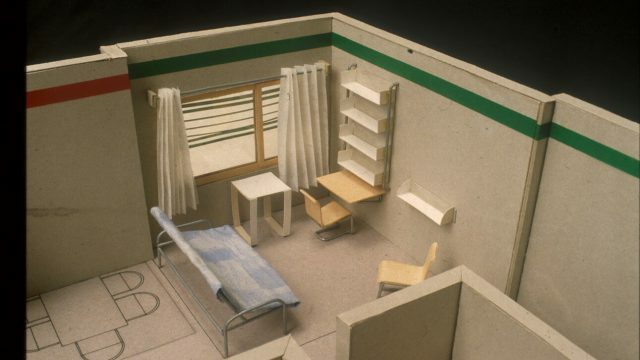 A serious attempt was made to use only furnishing items of the most modern design; many of them were designed by the exhibit designers themselves and were available on the market in Helsinki. The exhibition represented a significant break with the esthetic qualities of the traditional modes of homelife. 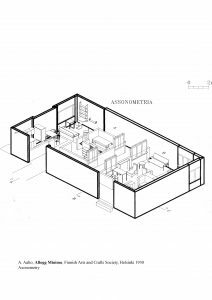 The design showed a gallery-type kitchen with two sinks, a counter for food preparation, and storage cabinets above and recessed below the counter. The adjacent wall had a range in the corner away from the sink, and a rotating ironing board was mounted along the wall opposite. 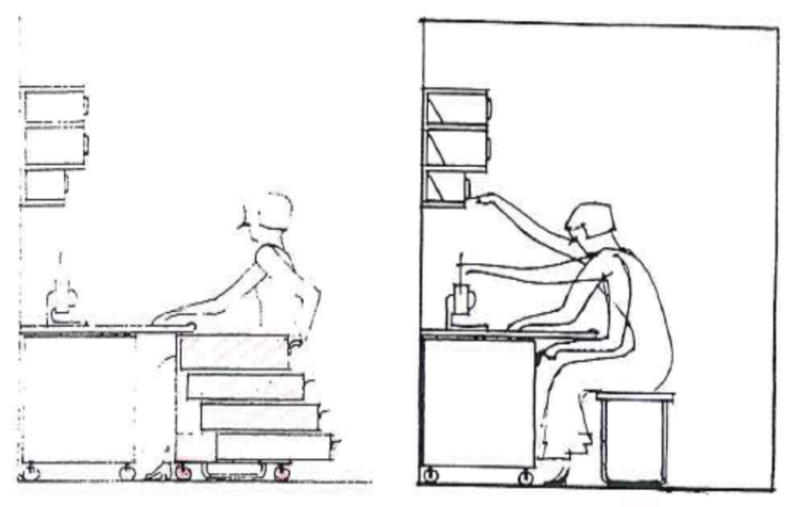 This arrangement, with its wall-hung cabinets and racks, was seen to be a significant step forward. 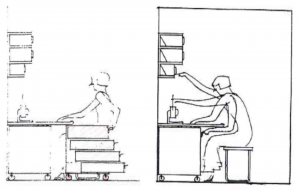 The sketches illustrate the use of the kitchen by a women who coulds sit down to perform many household tasks. 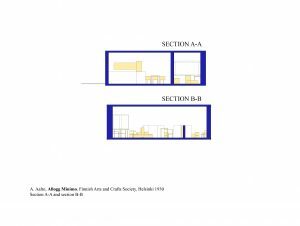 The figure (below) is that of Aalto herself, complete with her closely cropped hairdo fashionable at the time.